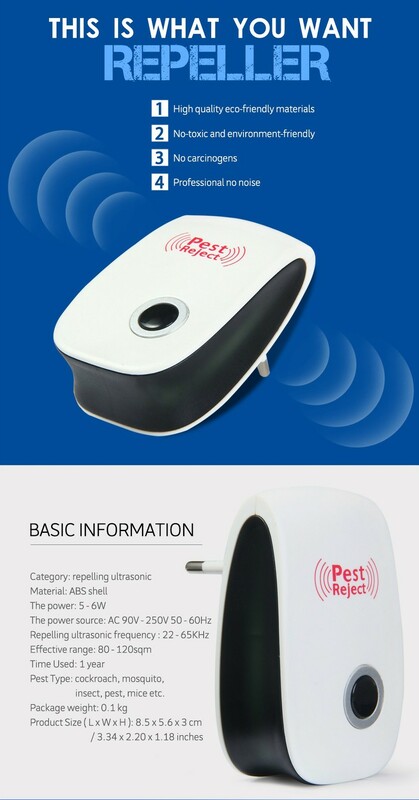 Highly effective: This ultrasonic pest repeller utilizes the most advanced ultrasonic technology, using 22KHz - 65KHz ultrasonic frequencies to drive away household pests. Effective against mice, cockroaches, mosquitoes, flies, bed bugs, spiders, ants, and other pests. Advantages: Unlike traditional pest control methods (such as mouse traps and poison sprays), this method is 100% non toxic. In addition, as it repels pests rather than killing them, there is no messy clean up. Usages: The red light will illuminate when it is working. 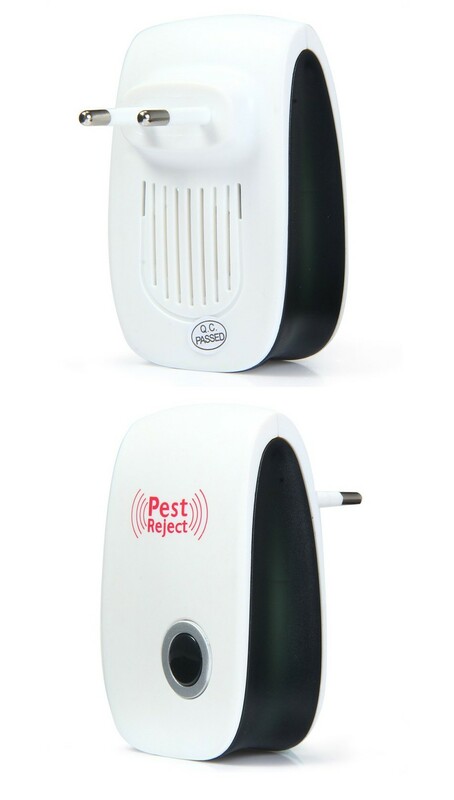 Pest reject repeller is effective across 800 - 1200 square feet (indoor use). 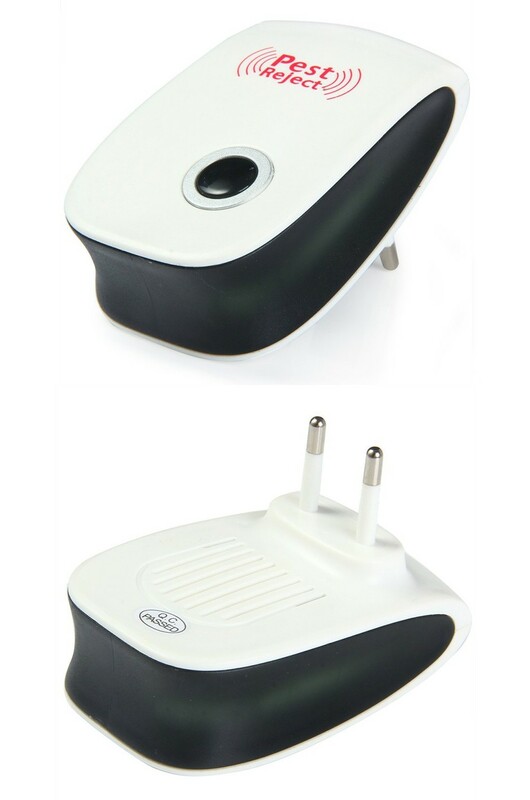 Effect: Within 3 to 4 weeks, you should be able to see the effects of the ultrasonic pest repeller as pests gradually begin to leave your home. If you are not satisfied, we stand by our products with a guarantee.